Plastic injection moulding is a modern manufacturing process which is most commonly used to mass-produce large volumes of identical parts in succession. This is the process of plastic injection moulding and the journey it takes from polymer material to a plastic part. Clamping – This is referring to the pressure which is produced from the machine to the mould during the injection and cooling process. Injection – Once melted down the polymer is fed through the gates and into the mould where it forms its desired shape. Dwelling – During the plastic injection moulding process there is a pause which enables the plastic to fill each of the mould cavities to ensure proper shape. Cooling – Whilst still in the mould the now plastic product is given time to cool in the mould. Mould opening and ejection – Following the above process the mould tool opens to release the complete product before it is quality checked and put through any required post mould operations. Why is plastic injection moulding a great process? Plastic injection moulding is a very versatile method of producing parts and provides the ability to scale production as a whole and once the initial costs have been paid for, the price per unit during injection moulded manufacturing is dramatically low. Through plastic injection moulding, you can achieve detailed products with enhanced strength. 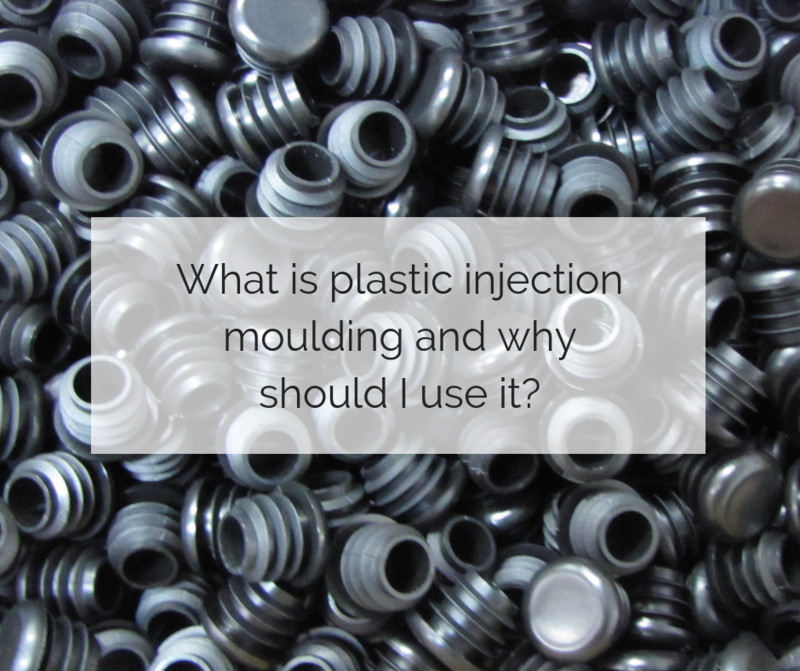 Are there any downsides to plastic injection moulding? Initial costs to plastic injection moulding can be high due to design and tooling requirements, so it is important to get the design right the first time – we offer 3D printed prototypes to help with this process. Plastic injection moulding is a great technology for finished production on a massive scale. It is also useful for finalized prototypes that are used for consumer and/or product testing, prior to this late stage in production. If you are looking for more information on plastic injection moulding, please read our blog, News & Views for useful articles, tips and tricks, as well as guest blogs from some of our business associates.